Supply chain managers design and manage supply chain networks that deliver high-quality products to the right customers at the right time at minimum cost. Six Sigma processes are essential tools that supply chain managers use to identify and solve supply chain problems. This course will introduce you to the role of Six Sigma in supply chain management and describe the challenge of integrating Six Sigma processes into supply chain systems. This course will first introduce you to the basics of the supply chain. You will study its goal and primary purpose, which is to produce value for the ultimate consumer. You will learn that supply chains are integrated and coordinated networks that perform a variety of functions such as the procurement of raw materials and distribution of goods. You will learn that a good supply chain management aims to reduce inventory and free up working capital without affecting service levels. You will then look into examples of supply chains operating in India. The course will teach you that each entity in a supply chain is both a supplier and a customer. You will learn the advantages of a customer-driven vision and look into Supply Chain Management (SCM) and Total Quality Management (TQM). You will study the TQM philosophy and the QS 9000 for culture including the 7 tools for solving problems at the floor level. Effectively planning, controlling, and executing your product's flow, from the acquisition of raw materials to production to distribution and on to the final customer can be easily achieved if you study the tools and techniques taught in this course. 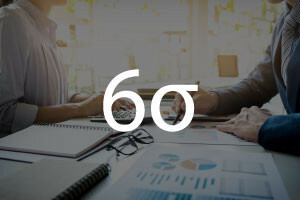 If you have finished the Six Sigma - Introduction to Taguchi Methods And Robust Design as well as the Six Sigma - Understanding Benchmarking Methods, this course will be the perfect complement, so check out the course now and keep moving forward! Define what supply chain management is. Describe how Six Sigma can be used in supply chain management. List examples of supply chains that have Six Sigma processes. Describe management's challenge of integrating Six Sigma processes into supply chain systems. This is very helpful to understand the SCM scenario. It's very good to learn about Six Sigma. Thanks Alison to create this opportunity to learn. Yes the overall course was very good.. Exam was also productive.